After a challenging 2016, including the sad death of the company’s Music Director David Page, Bangarra Dance Theatre is kicking off the new year with excitement and hope, as it unveils two new works and a regional tour. The national tour of Bennelong will kick off on 29 June 2017, at Sydney Opera House, with subsequent performances through 16 September. 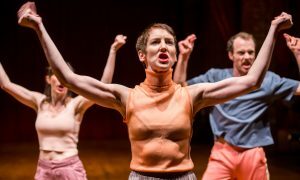 The work, choreographed by Page, is inspired by true events involving Woollarawarre Bennelong, who was a senior man of the Eora, from the Port Jackson area in Sydney. With costumes by Jennifer Irwin, lighting by Nick Schlieper and music by Steve Francis, Bennelong is sure to demonstrate what Bangarra does best – celebrate Australia’s history. 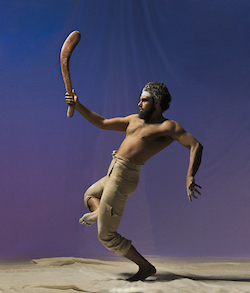 Beau Dean Riley Smith in Bangarra Dance Theatre’s ‘Bennelong’. Photo by Edward Mulvihill. “The company’s strength is its capacity to create inspiring and positive Aboriginal and Torres Strait Islander experiences for all,” said Bangarra Executive Director Philippe Magid. ONES COUNTRY – the spine of our stories, a triple bill with works by choreographers Djakapurra Munyarryun, Elma Kris, Nicola Sabatino and Kaine Sultan-Babij, will premiere during Bangarra’s second season at Sydney’s Carriageworks, from 24 November through 2 December 2017. The works will transport audiences across Australia – from the Arnhem Land in the north to the Torres Strait Islands – and address issues concerning gender challenges and the human spirit. Aside from these exciting brand new works, Bangarra will tour regionally with Frances Ring’s Terrain, which received the Helpmann Award for Best Ballet or Dance Work in 2013. Terrain will make stops in Ballarat, Bendigo, Mildura, Hobart, Geelong and Shepparton, from 11 February to 8 March 2017. Bangarra will also host a special celebration of David Page’s life at Sydney Opera House in June 2017. 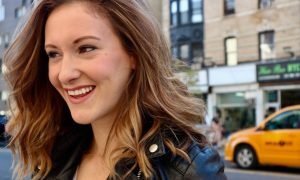 And the company will continue its youth programs, with further developments and expanding to even more communities in the new year. 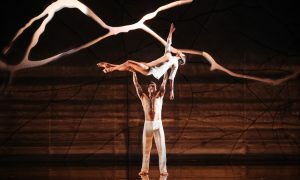 To purchase early bird tickets to Bennelong and ONES COUNTRY – the spine of our stories, and Terrain regional tickets, visit www.bangarra.com.au. Photo (top): Choreographers Djakapurra Munyarryun, Elma Kris and Kaine Sultan Babij for Bangarra Dance Theatre’s ‘ONES COUNTRY’. Photo by Edward Mulvihill.